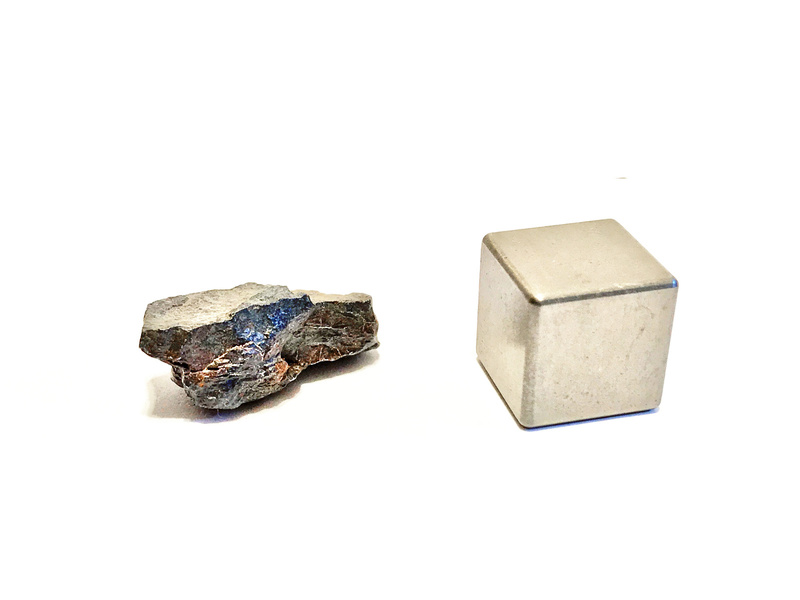 I only have a tiny fleck of the Canyon Diablo meteorite that created Meteor Crater in Arizona. And I didn’t even buy it myself–it was a gift from my friend Andy Farke. I’ve been to Meteor Crater three times, and it’s been an amazing experience each time. In the gift shop, they have these little baggies for a few bucks with an info card and a little chunk of Canyon Diablo. Andy gave me mine years ago, and I bought one for my son, London, on our last visit. 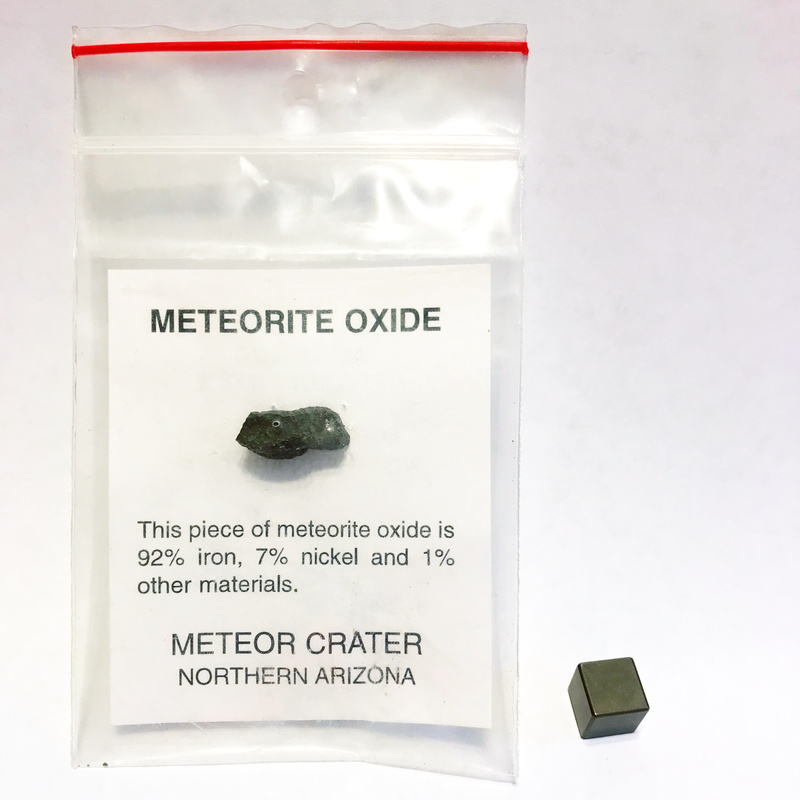 If you’re wondering why the info card says “meteorite oxide”, it’s because the Canyon Diablo meteorite has been on and in the ground for a long time, and it’s had the opportunity to oxidize. Some of the iron oxide is hydrated iron(III) oxide, good old FeO, better known as rust, and I’ve certainly seen a lot of weathered Canyon Diablo specimens with a reddish patina of rust. 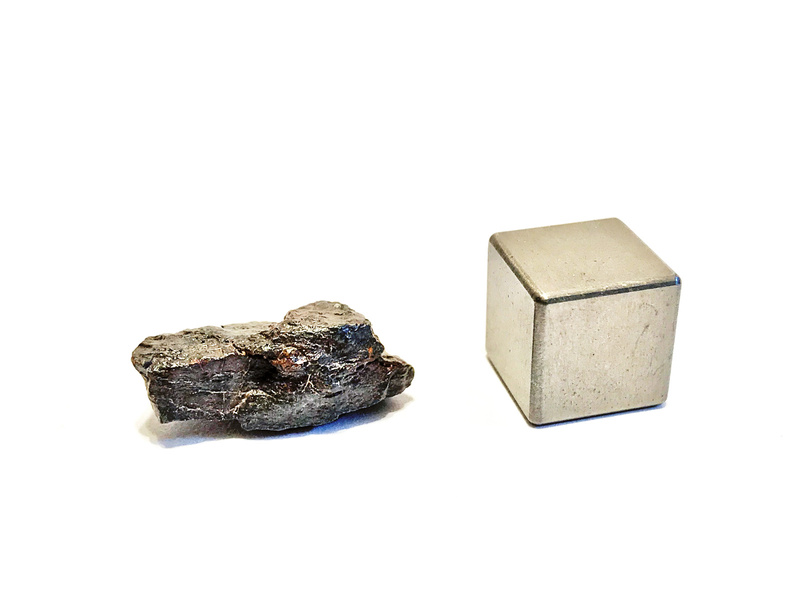 But much of the iron oxide is iron(II, III) oxide, Fe3O4, better known as magnetite. Magnetite is black or dark gray, and I reckon that’s what I’ve got here, at least on the surface of this bit. I haven’t read enough to know if there might be unoxidized meteoritic iron in the middle, and I’m not going to tumble the specimen to find out! My little piece of Canyon Diablo doesn’t look like much in the bag, but up close it has a surprising amount of character. I like it. It pays to not get too jaded about a piece of another world, no matter how humble. You are currently browsing the 10 Minute Astronomy blog archives for the day Saturday, September 29th, 2018.